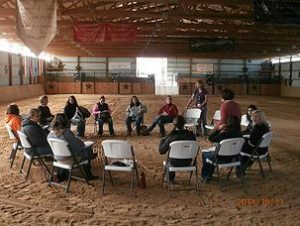 This Discipleship Training Day has been designed for Faith Based Equine Assisted Philosophy Certified Facilitators to be mentored in all aspects of the work. We will address topics such as: How to follow the Holy Spirit in the arena, when to speak and when to ‘be still’, basic business, effective advertising and social media (blog), building a clientele, and together we’ll explore any questions you have regarding your business or ministry. 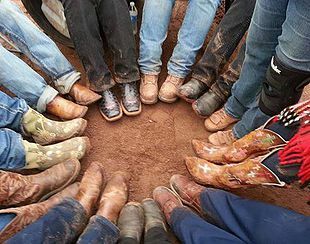 This is a gathering of our Herd for the purpose of creating Unity of the Brethren. We will meet from 10:00 a.m. to 2:00 p.m. We will supply beverages. Feel free to bring snacks or a bag lunch. We’ll circle up in the lounge and will not be using horses for this Training. Bring a notebook, pen, and all your questions.